The buzzing video ad format in the present era is Vertical Video Advertising which is the mobile-friendly one. The usage of mobile has given the life to the vertical video ads that are being the challenging task for the advertisers to launch in an efficient manner. The ongoing demand of mobile has changed the preferences of the users. Most of the desktop and TV consumers have shifted to mobile in the present era. The portrait mode of viewing on a smartphone is the most seeking one. Depending on that most of the advertisers are choosing to place the vertical video ad formats. This type of ad is the most efficient one as the 3/4rd of the consumers are holding the mobile vertically to watch videos in most of the time they spend. 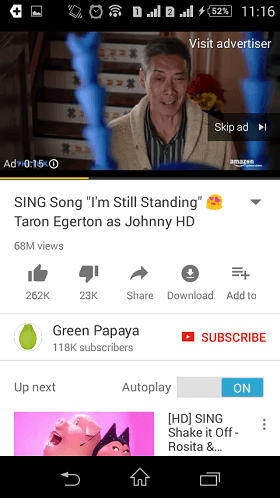 These ads are pretended as the native video ads by the user. The conversion rate and views of the video especially through the mobile have been increased rapidly. The video advertising companies are suggested to deliver the best video ad by considering the insights. These types of videos are most useful to explore in the business category. Push the explainer videos in the vertical video ad format on mobile to hang the crowd aside. Music is the top category to gain the attention of the public that helps in exploring the one’s brand by launching vertical video ads in lyrical videos. Use this list to place the vertical video ads as they are the most engaging videos that attract the new audiences as well. These ads will enable the audiences to skip the ads after watching it for 5 seconds. This will be held in the main video before it plays or after it plays. These are undoubtedly non-skippable video ads that lead users to watch until 6 seconds before displaying the main video. These ads are placed to watch up to 30 seconds with no skipping. 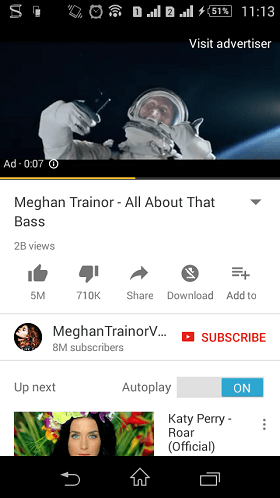 These ads are displayed at the audiences that are relevant to the main video. Cent percent of mobile video viewing is expected. The Snapchat will be the most desirable one to place vertical video ads as the present. The competition of trending social media apps like YouTube, Snapchat, Instagram and Facebook etc. will be increased with the comparison. Branded companies are adopting the vertical video advertising. The CPM through vertical video advertising has been increased. The high quality and fresh content is the best one to reach the audiences with effective story telling strategy. Better to use the snackable video content i.e. up to 10 seconds or less that will not annoy the audiences. Immerse video ads at the influencers to reach the targeted audiences. Pretend the preferences of audiences and create the innovative ads. The vertical video ads can be placed on Instagram which is the most best one to promote the brand. The 4:5 aspect ratio portrait videos can be placed on Instagram. This has been introduced by understanding the needs of the advertisers which helps them to have the effective business branding. The motive of the Instagram is to give the immersive experience to the users by advertisers with the addition of video ad formats. 2:3 ratio vertical video ads can be introduced on Facebook through which the brands can gain huge reputation than on other social media apps. It provides the experience of full screen with the facility of vertical scrolling, especially on mobile. Most of the audiences on Facebook are from millennials who are most aggressive to find the advanced products or services that are being trended. Hence, the brands can make use of this platform to clutch the exact customers through vertical video ad campaigns on the Facebook newsfeed. If the video content is highly effective then they will get huge shares in that community. The length of the video should be 0.5 to 30 seconds. 32×32 and 1280×1024 are dimensions. 1:3 or 3:1 is the aspect ratio. The size of the file should be 15 Mb. The pixel aspect ratio is 1:1. The stereo or mono audio is supported. The video bitrate is 1024k and 96k is the audio bitrate. 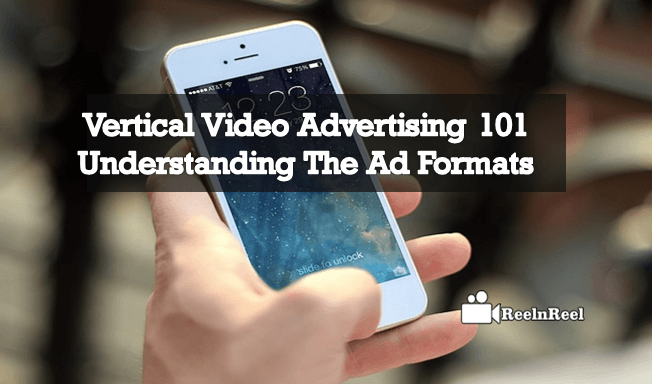 This article will define the complete description of the vertical video advertising that is being the viral one to explore the branding. If you are intended to gain the global impact at your brand just go on implementing this vertical video advertising.